One of the biggest states in India is Madhya Pradesh. The people who are over the age of 18 and are the permanent citizen of India have the right to vote. But for that, you have to get enrolled under the election commission of India. 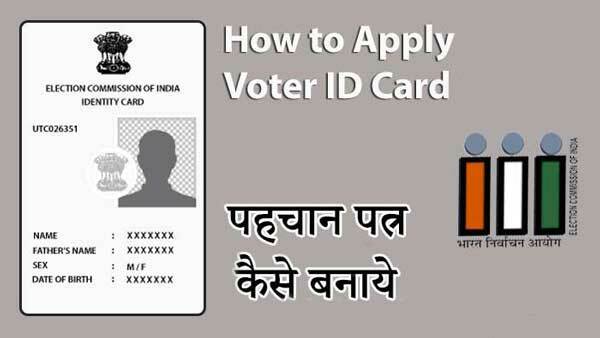 The commission provides Voter ID card for the purpose. Along with giving the right to vote, the voter ID card is also granted as a proof of citizenship for the citizens of India. The process to get a voter id card is a lot easier these days. Here we are going to describe the online and the offline process to get a voter id card in Madhya Pradesh. First, you need to register to the website and create a login id and password. After that, log in the website and fill up Form No. 6. The form is available there in Hindi and English both languages. Fill up the form with all the appropriate details as any incorrect information will lead to the rejection of the form. Proof of identity, proof of birth, and proof of address documents need to be uploaded by the applicant. A person can also use the document which belongs to his father if his name is mentioned in that. After completing the uploading of the documents, the applicant must submit the form. He will receive an acknowledgment slip using which he can check the status of the application later. The applicant will get the voter id card within 30 days time. Take Form No. 6 and fill it up with all relevant and correct information. Submit the filled up form to the counter of the electoral office with all appropriate documents. They will verify all the details on the form and when satisfied, will issue an acknowledgment slip. You can check the status of the voter id card online using the acknowledgment number. The applicant will receive the voter id card within 30 days time at his or her registered address. If you want to know anything more you can let us know your queries in the comments section.